West Yellowstone, Montana, the small community situated at the west entrance to America’s first national park, changes drastically through the four seasons. While summer heralds the arrival of a large number of travelers, drawn by the lure of the Big Sky and Yellowstone’s wonders, spring and fall bring the relative quiet lull of lessened tourist traffic and changing “shoulder season” weather. Winter welcomes a new kind of traveler—passionate snowmobile riders and cross-country skiers are drawn to the deep snow and wild country surrounding this comfortable community of roughly 1,400 residents. Thanks to its status as a gateway to Yellowstone National Park, West Yellowstone is home to a variety of lodging, shopping, dining and activities that are available year-round (some businesses close for the winter, but plenty stay open to service visitors). Tucked amid three national forests, world-class trout streams, and storied terrain from Western lore, West Yellowstone brings a dose of old-fashioned hospitality and outdoor adventure regardless of the season. Here are just what makes the area special, no matter when you visit. Snowmobilers can explore more than 400 miles of groomed trails near town. West Yellowstone receives more than 150 inches of snowfall annually. Pair the impressive snowfall with frequent sunshine and bluebird skies, and it’s no wonder the town is a draw for outdoor-loving winter sports enthusiasts. 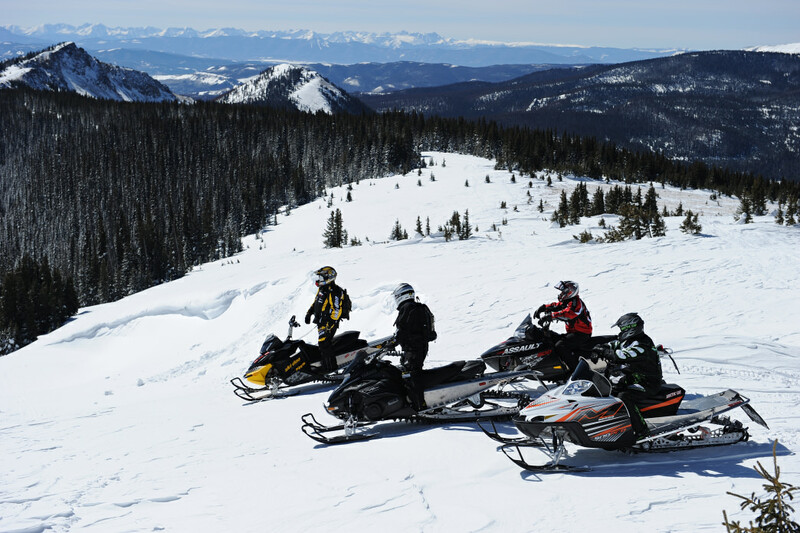 Snowmobilers can explore more than 400 miles of groomed trails near town, winding through open meadows, craggy hillsides, and along some of the finest trout fishing rivers in the world. Cross-country skiers will love the Rendezvous Trail System, home to 35 kilometers of daily-groomed trails, or several pet-friendly ski trails that start at the edge of town. Wintertime in Yellowstone National Park has been likened to stepping inside a winter wonderland. Join a guided snowcoach or snowmobile tour for an entirely new look at the park and its animal residents. Looking for something different? West Yellowstone hosts Snowmobiling EXPO, Power Sports & Races, a nationally ranked ice fishing tournament and a series of cross-country ski and biathlon races throughout the winter season. Spring is the best time of year to view black and grizzly bears as they wake from hibernation. As snow gives way to green grass and wildflowers, West Yellowstone wakes from the quiet of winter and erupts in a riot of color. Spring is an excellent time to visit West Yellowstone before the true crowds of summertime travelers arrive. The region’s scenic drives and early-season hiking draw outdoor adventurers and sightseers alike. For Sanders, spring is one of the best seasons for cyclists, even outside the park boundaries. In the months before the busy season rush, there are fewer cars on the road, leading to a more peaceful riding experience. She shares that it’s likely cyclists will, at one point or another, encounter bison on the road, and urges caution: “Give them their space!” she notes with a laugh. 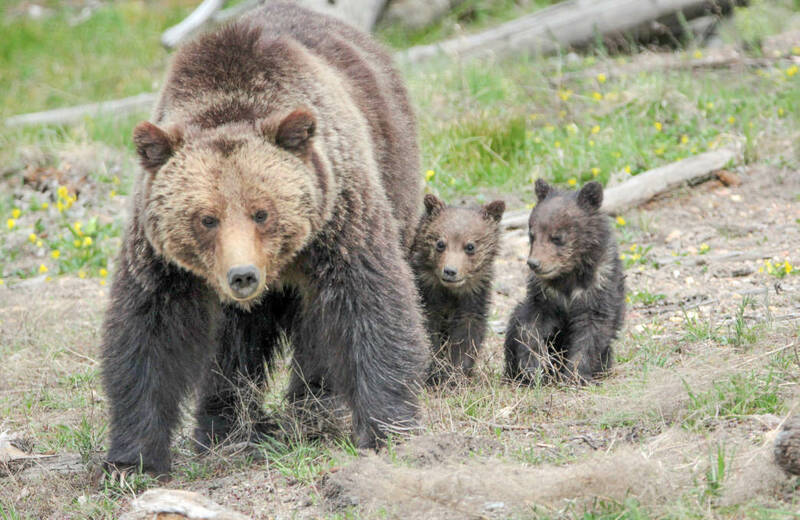 Bison calving typically begins in mid-April, and spring is also the best time of year to view black and grizzly bears as they wake from hibernation and make their way to lower elevations. This is the season West Yellowstone wakes up, and it’s an ideal time to enjoy the region without the press of summer crowds. The region’s blue-ribbon trout streams offer plenty of fly-fishing opportunities. Summertime is perhaps the season when the West Yellowstone area shines the most. Long, bright summer days bring endless opportunities for outdoor recreation and exploration, and the town of West Yellowstone is booming. Shops, restaurants, and hotels are in full swing, offering a surprisingly robust variety of amenities for travelers. Yellowstone’s wildlife, geysers, hiking, and waterways may be the biggest summertime draw, but there are plenty of outdoor activities for those seeking a bit more of an adventure than a mellow sightseeing drive. The region’s blue-ribbon trout streams offer a myriad of fly-fishing opportunities, hiking trails are available for all skill levels — from a post-dinner stroll to a multi-day backpacking trip—and mountain bikers will find plenty of trails and pathways to occupy their time. Wildlife watchers will find this season more productive than the busy summer days. 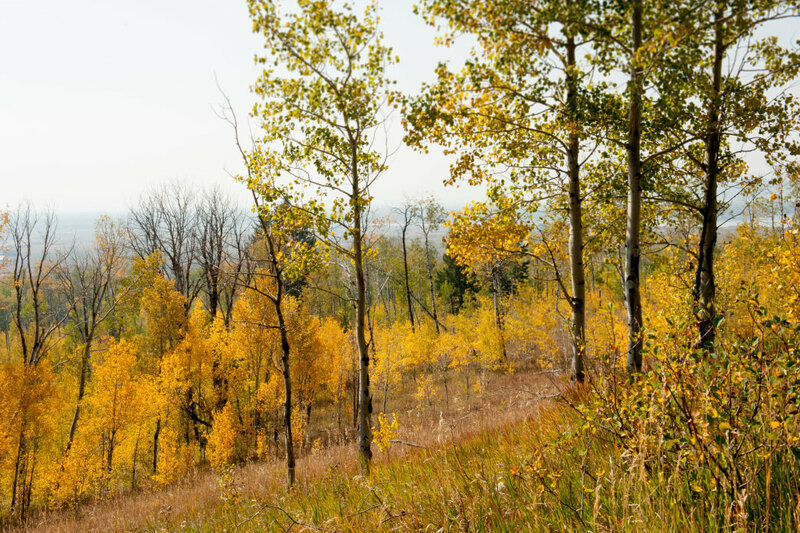 The autumn season is a favorite of West Yellowstone locals, and for good reason. Elk are in their mating season (called the rut), the scenery is stunning and the photography opportunities are truly exceptional. Cooler temperatures and a changing landscape mean it’s an ideal time for outdoor enthusiasts to explore the Yellowstone region. Anglers will find themselves occupied with spawning runs of feisty brown and rainbow trout moving from Hebgen Lake up the local rivers, and wildlife watchers will find this season more productive than the busy summer days. Regardless of what season you choose to visit West Yellowstone, expect a dose of Western hospitality, exceptional outdoor adventure, and world-class wildlife watching. 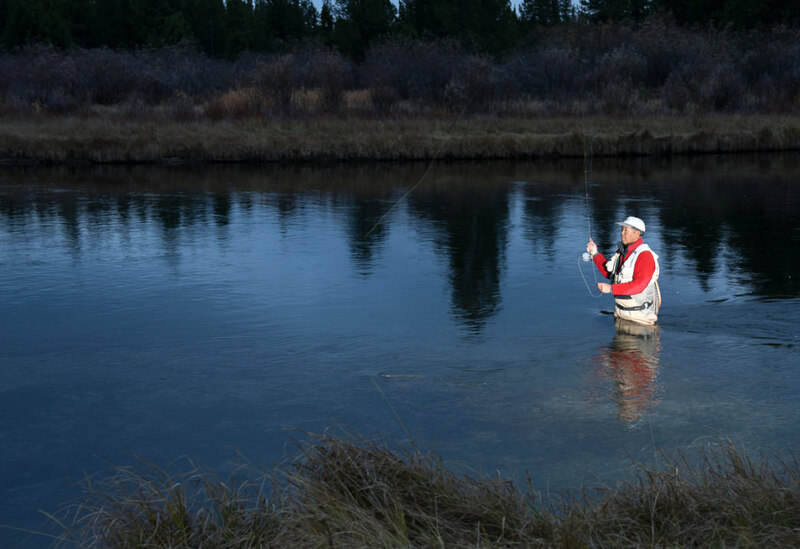 Whether your tastes lean more toward a long day spent in the Madison River angling for trophy trout or strolling the comfortably rustic streets in town, West Yellowstone is truly an outdoor paradise ready to welcome visitors any season of the year. Originally written by RootsRated Media for West Yellowstone Chamber.